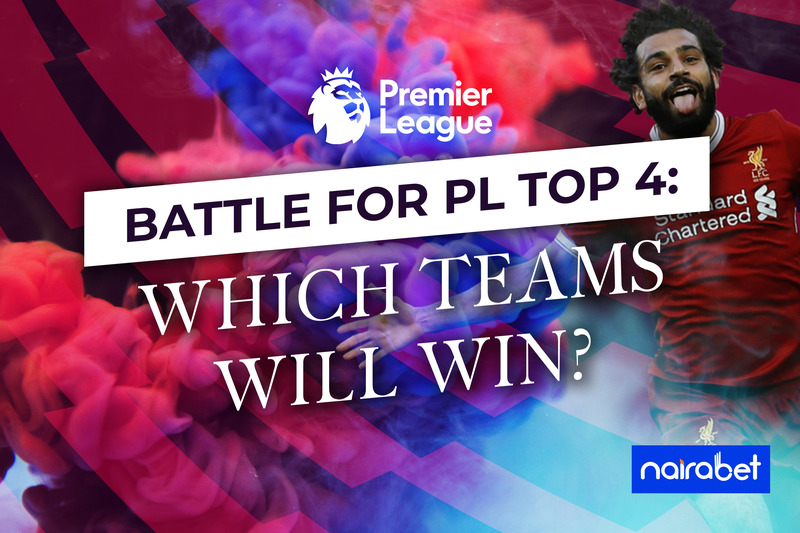 Battle for PL Top 4: Which Teams Will Win? The Premier League, in the past few days, has proven that it’s one of the most exciting leagues in the world. The league is always described as highly unpredictable. And events from the last two MatchDays underscored that description perfectly. Liverpool, at this stage, could have been easily 10 points ahead of Manchester City. But the Reds have had to endure two consecutive draws. This has seen their lead at the top cut to just three points. Since their 4:3 win over Crystal Palace, the Reds have not remained the same since. With games against Manchester United, Chelsea, Tottenham and Wolves still to be played, the title hopes of the Reds currently hangs in the balance. But they have done well enough to be assured of a top-four finish. Can Liverpool catch their current slump in form in their next PL game against Bournemouth? The same can be said about Manchester City. Pep Guardiola’s side is pulling out all the stops in a bid to catch up with the Reds. The loss against Newcastle will still be heavily rued. Furthermore, they still have to find a way past Manchester United, Chelsea, Spurs, Leicester (again) before the league comes to an end. But they look like a side that is bound to finish in the top four. Tottenham and Pochettino are teaching the world that it’s not all about big money signings. Without a new player in over a year now, Spurs are still holding their own in third place, fiercely battling it out with City for that second spot. To an extent, it is fair to say that they are not involved in the struggle for a top four finish judging by their current form. 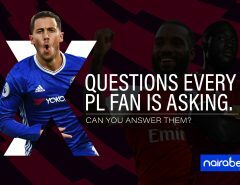 Click here NOW to bet on all the Premier League games this season and enjoy massive winnings. This leaves us with three teams fighting it out for the fourth spot: Arsenal, Chelsea and Manchester United. The results from MatchDay 25 saw Man. United finally move from the sixth position in fifth after Arsenal’s loss. Chelsea’s win saw them move to 50 points from 25 games. But the Blues (currently in the fourth spot), are just three points away from Arsenal in the sixth, with United sandwiched between them. For these three sides, the remaining 13 games of the league will be 13 finals to be played. Although two of them will still have to settle for the Europa League, they will have to take their chances when they get it. As we continue to enjoy all the surprises that PL serves on a daily, which of these sides do you think has what it takes to finish in the top four? Can Manchester United keep up the momentum and go all the way? The Gunners have a terrible record against the ‘big six’ in the league. Can they shake off that terrible record with games against Tottenham and Manchester United still to be played this season? What of Chelsea? Can Gonzalo Higuain help them to finish above the chasing pack in a battle for a to-four finish? Which of these teams will win the race? Drop your comments and join the conversation.